The gem of Versilia, Forte dei Marmi, also known as "Forte", is a famous seaside location known and appreciated worldwide. The main feature of the town is the unique elegance of public buildings, houses and streets of the city centre, from the Central Garibaldi Square, dominated by the ancient “Fortino”, to the small fashion boutiques and the famous windows of big international brands, great restaurants and pine forests. Riding through the main streets it's a fabulous experience. The municipality is divided into four fractions. The Center, Victoria Apuan, Imperial Rome and in the nearby hinterland Caranna and Vaiana. Forte dei Marmi is characteristic for the prestigious villas which are situated within its territory. 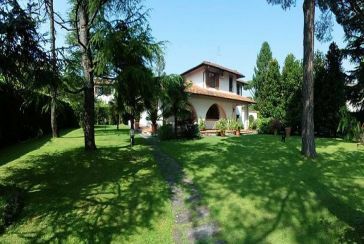 The area is an holiday resort of the wealthy families in Italy from many years and in particular reached its peak in the 60s when Forte dei Marmi when a lot of noble families starts to buy villas in the wealthy Roma Imperiale. From that moment many properties were built giving life to an important real estate market. The villas are in constant construction and renovation and have therefore a great investment potential. The center of Forte dei Marmi is the most lively area of the town. Here are a lot of stores of important and quality brands but also many local shops with unique taste; many historical Coffes and Restaurants; On Wednesday morning take place the famous market but there is also the food market every day. The Pier of Forte dei Marmi is one of the most popular attractions that have become the symbol of the city as well as The “Fortino” commissioned by Grand Duke Pietro Leopoldo and realized by the Governor of Livorno and Commander of the whole coast, Barbolani da Montauto in the far 1782. Accommodation in the center means having every comfort at a distance and being able to move freely on foot or by bicycle. The historical “Caffè Giardino” e “IL Principe” open all day long. Many restaurants.. From “Pesce Baracca”'s street food to the classy “L'Osteria del mare”; “Fratellini's”; the historical “La Barca”; for meat lovers “Aria steakhouse”; and of sushi “Kooka Sushi”; the luxury “Bistrot”; for an exellent pizza “Bocconcino”; “Trattoria tre stelle” centralissimo;For a take away “ Dai parmigiani” offers high quality products. 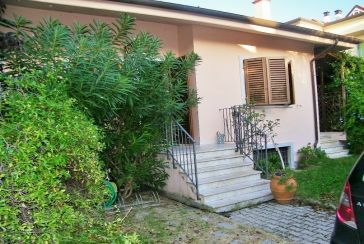 Vittoria Apuana is the area bordering Cinquale and the center of Forte dei Marmi. It is a very quiet residential area with every comfort. In the main square there are many shops, a pharmacy and an important cultural center: "Villa Bertelli" which hosts various cultural events including exhibitions, presentations and concerts. In Vittoria Apuana there is also one of the oldest bathing establishments in the area, the "Onda marina". For the lovers of home made ice cream and the real Sicilian “granita” in Padre Ignazio da Carrara you will find the ice cream shop "Carabe". For sport lovers, continuing the same road going to the mountains, we find the Versilia Golf. The restaurants ... A beautiful restaurant on the sea "Gilda"; "Il Rosmarino"; "Paradiso al mare"; "Bagno Italiah. The attractions in Forte dei Marmi are several during the summer season, all kind of celebrations are organized, from the parties on the beach to the patronal festivals. The most important party takes place at the end of summer "Sant'Ermete" during this day there is a big fair with prestigious shops, the famous and spectacular fireworks and big beach parties. The famous market which takes place on Wednesday mornings and Sundays (only during certain times of the year) is known and appreciated throughout the world and offers high quality products and designer clothes at great prices. At Villa Bertelli, one of the country's historic villas, are organised a lot of events which host international artists but also charitable evenings, exhibitions and cultural events of all kinds. The Versiliana Park is a prestigious open air theater where important international artists perform during the season, from singing to acting at the Ballet. The Museum of satire and caricature has headquarters in the Forte of Leopold I. The Museum represents worldwide collection and study of satire and caricature. The collection includes original drawings, a library, a video library and a multimedia archive. Versilia is a prestigious location surrounded by the wonderful landscape of Tuscany, between the Apuan Alps and the Tyrrhenian Sea our area offers countless breathtaking sceneries and not only ... It is also known for its night life due to the presence of many historical places like La Capannina of Forte dei Marmi, a prestigious location for summer evenings since 1929 ... How to forget the long and sandy beaches which people from all around the world loves. The territory also offers the opportunity to enjoy it all year long, thanks to the mild climate and the many opportunities for recreation and leisure.